A tiny alley off M.G. road in Camp called Kolsa gully is a tiny alleyway with several shops. You won’t find any kolsa here, but most of these shops offer framing services. 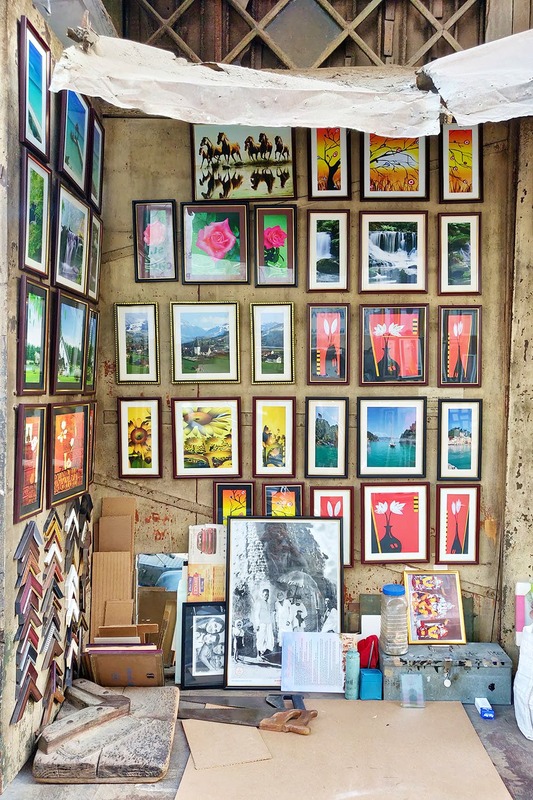 Got a photograph you’d love to frame, a poster or even a piece of art that you created? Kolsa gully has a about eight to ten shops that offer framing services. We saw several art pieces already in frames perhaps for those who love to buy readymade art. Several frames in different shapes and sizes wait emptily. There are hexagonal frames, regular square and rectangle ones, triangles, circles among others. They also have several small square frames attached in a pattern so you could adorn a wall with multiple pictures and use the frame as wall art too. The whole gully has a range of coloured corners to offer too. You can choose from regular black and white to blue, pink, purple, red and a range of other hues. The pricing starts at INR 250 and you can get your piece framed in a day or two. Although, the larger the frame, the more time it takes to get ready. But, you’ll have things ready in five to six days at least. We’d love to see these shops update themselves with current trends. Perhaps offer frames in materials apart from the classic wooden ones. If you’re looking for a cheap framing fix, drop by. These traditional shops have existed for years so their prices are much cheaper than other photo studios.